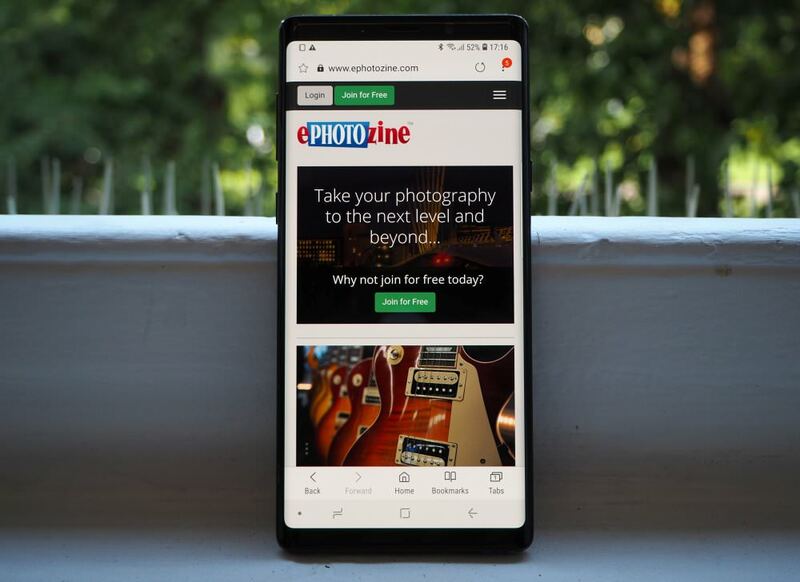 The Samsung Galaxy Note9 offers the largest screen, the latest camera, and the unique Samsung S-Pen, which provides some useful advantages, both when using the phone, and when taking photos. The phone is large, with a 6.4inch screen, but for those who like the Samsung Galaxy Note series, this will be welcomed. There's a wide-angle camera, as well as a 2x telephoto camera, both with OIS, and results are excellent. 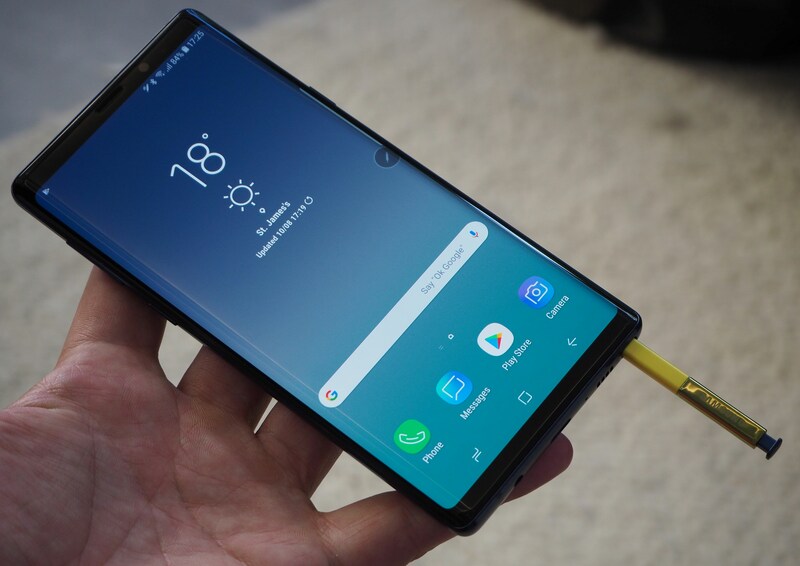 The Samsung Galaxy Note9 sits at the very top of the Samsung Galaxy range of smartphones and has not only the best hardware but also the latest software. There’s a 6.4inch screen, a 4000mAh battery, plenty of ram and storage, and the fastest Qualcomm processor currently available. 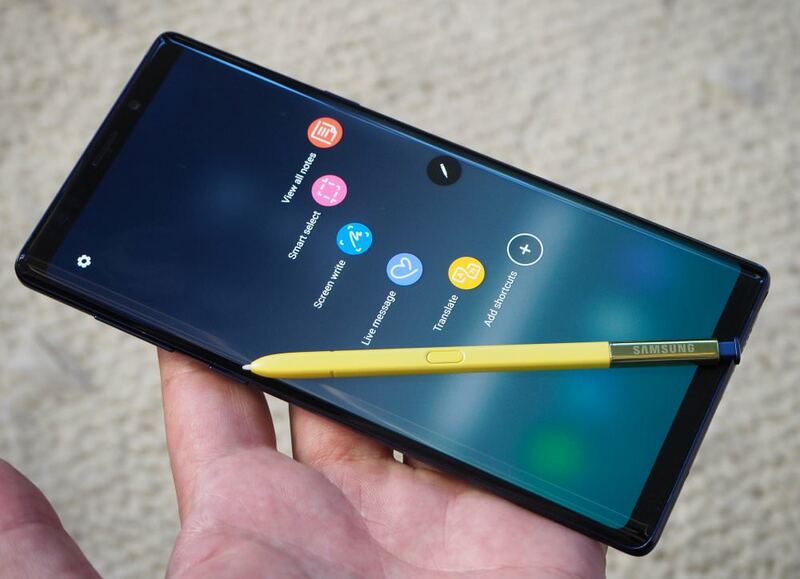 The Samsung Galaxy Note9 is available for pre-order priced at £899 sim-free for the 128GB version, or £1099 for the 512GB version. 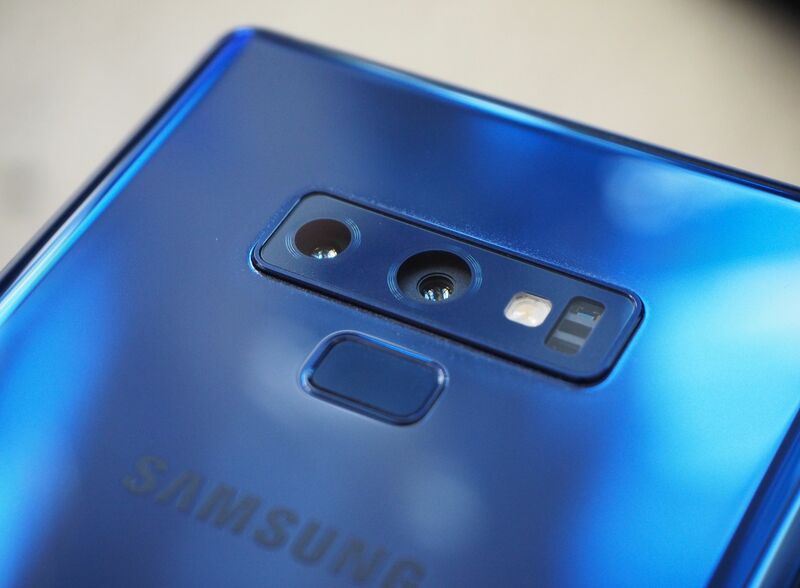 The Samsung Galaxy Note9 features the same dual-camera setup as the Samsung Galaxy S9 Plus, with a wide-angle 12mp f/1.5-2.4 lens (with two aperture settings), and a 2x telephoto f/2.4 lens, both with OIS (Optical Image Stabilisation). 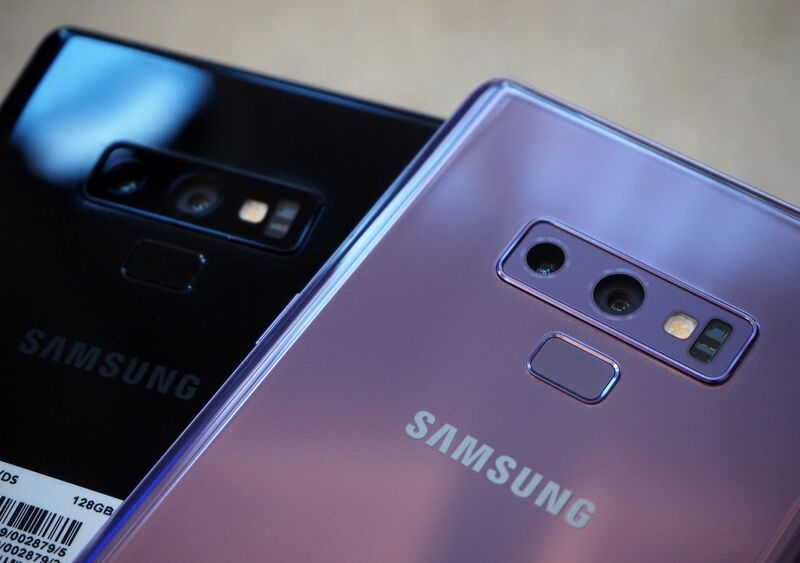 However, the Samsung Galaxy Note9 benefits from the latest software, which includes “Artificial Intelligence”, detecting the scene, as well as letting you know if there are any problems with the photo(s) you’ve just taken. Scene optimiser – adjusts colour, contrast, white balance, exposure etc to match the subject. Flaw detection – notifies you if someone blinks or looks blurry. It will also notify you if there are smudges on the camera lens. 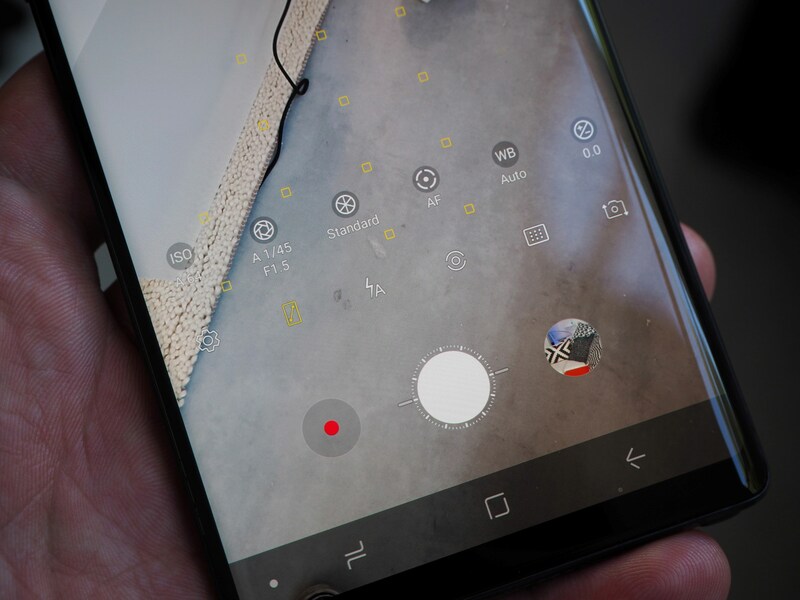 There’s a Pro mode so you can manually adjust settings, including the ISO, aperture, shutter, AF, WB and exposure, as well as shoot raw. 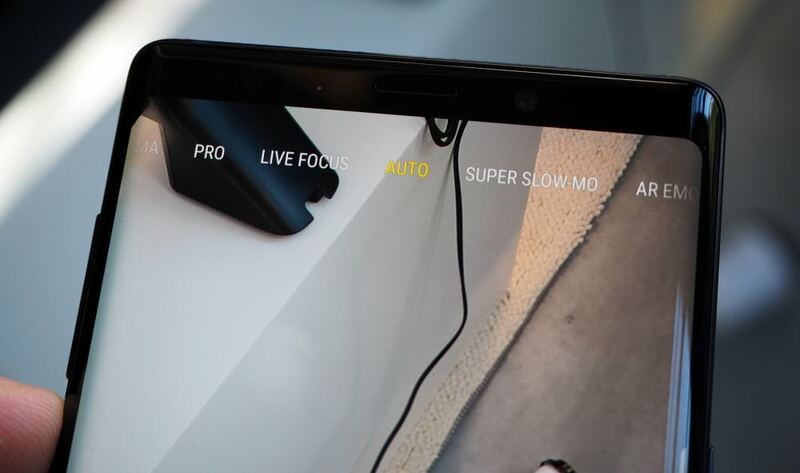 There’s a live-focus mode so you can create bokeh or background blur in photos. An LED flash will help in low-light. There's a motion photo option in the settings giving you a short video clip of what happens before you take each photo. A number of different colour effects can be applied in the camera app. The HDR mode can be used for better low-light photos, and Samsung says this reduces noise, as well as improving detail and colour. In low-light, the camera will take multiple shots and blend them together. 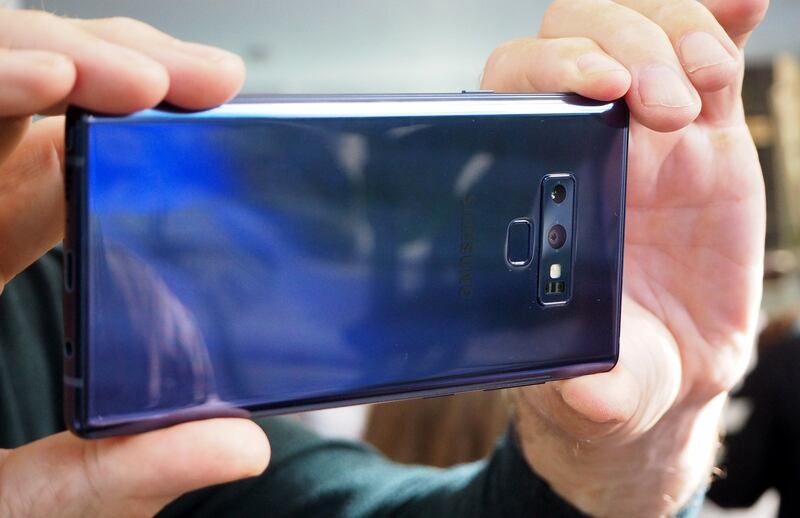 Samsung says the Note9 CPU is 53% faster than the Note8, with an improved GPU (Graphics Processing Unit) as well. The camera records 4K UHD video at 60fps, and super slow-motion is available to record at up to 960fps. The selfie camera is an 8mp f/1.7 camera, with auto-focus. You can create background blur, as well as adjust beauty settings. The S-Pen features Bluetooth and using the button on the pen, you can take photos, or switch from the front to rear camera (but double pressing the button). The pressure-sensitive pen is certainly appealing, and it will be interesting to spend more time with the smartphone to see if it makes it suitable for editing photos. The phone has built-in Wi-Fi, NFC, GPS, a fingerprint reader, and there's even a headphone socket. 8-megapixel front camera with f/1.7, and AF, 25mm equivalent. The 6.4inch screen is large, and very clear, with a high-resolution display. Taking photos with such a large screen gives you a very good view, helping with composition. It also makes it easier to change settings when needed. 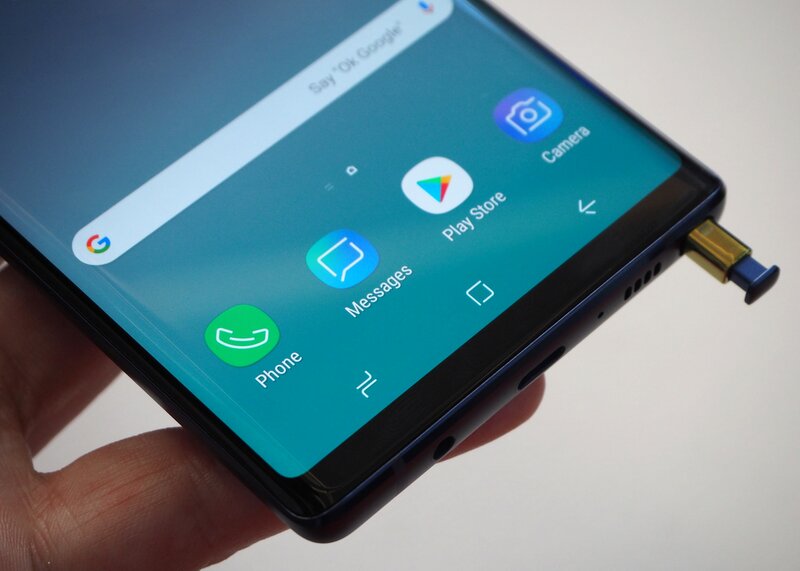 On the bottom of the phone, you’ll find a USB-C connection, a headphone socket, speaker, microphone, and the S-Pen socket. When the pen is in the phone, you press the end in, and it will pop-up giving you the ability to pull the pen out. With a glass front and back, a case is strongly recommended, to avoid scratches and damage. The front and back of the phone are quite prone to fingerprints and scratches, particularly if you use the phone without a screen protector or case. The black phone features a black pen, the lavender purple phone has a matching purple pen, and the ocean blue phone has a bright yellow pen. The top of the phone features a sim card / microSD tray, and you can upgrade the phone with a 512GB microSD card if you want. There is a 128GB and 512GB phone available, so you could have up to 1TB storage! The phone has 6GB of RAM with the 128GB version, and 8GB RAM with the 512GB version. The volume control is on the left, and underneath this is Samsung’s Bixby button, which brings up the Bixby assistant. On the right-hand side is the power and unlock button. The rear features a fingerprint sensor, underneath the cameras. Next to the cameras, there are a number of sensors, which can be used for health monitoring, including a heartbeat monitor. Face detection is another way you can unlock the phone. To view the modes available you simply slide your finger left or right, and in settings, you can add "Food", and "Slow-motion". The selfie camera has a number of different shooting modes including Selfie focus, Selfie, AR Emoji, and Wide Selfie. You can expand the view so that the camera app uses the entire screen for composition. In Pro mode, you can manually change the ISO speed (from 50 to 800), or leave it on auto and it can go up to ISO1250 in dark lighting. You can adjust the shutter speed, aperture (f/1.5 or f/2.4), colour, focus, white balance, exposure compensation, metering, AF area, and flash. The scene optimiser will detect the subject in the frame, and choose from 20 different shooting modes, enhancing the photo to suit accordingly. The camera is fast to focus, using phase-detection focus, and everything was quick and responsive. Geekbench v4.3.0 results are single core: 3685, multi-core score: 9034. AnTuTu gives a score of 248067. Battery life - The battery rating of 4000mAh is good, and battery management gives a number of different options to extend battery life, including reducing screen resolution. However, if you're going to be away from a power source, we'd recommend getting yourself a portable power bank just in case.